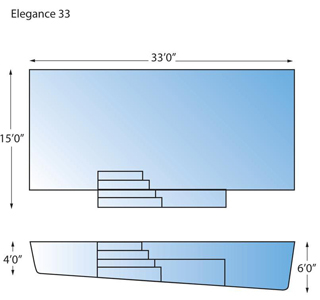 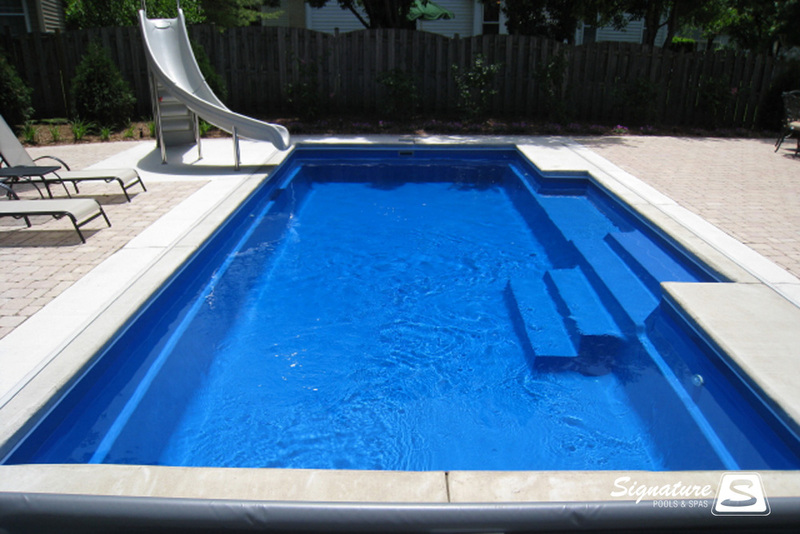 The Elegance model pool by Leisure Pools is one of the most modern stylish fiberglass swimming pools available. 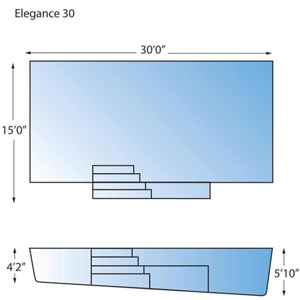 Square corners and clean cut lines make it ideally suited to today’s modern architectural building trends. 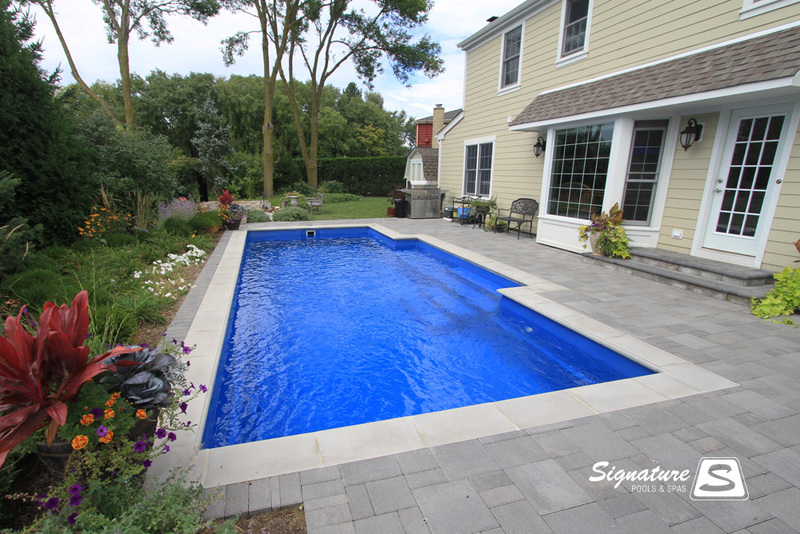 Available in 6 different sizes the Elegance pool can fit in almost any backyard. 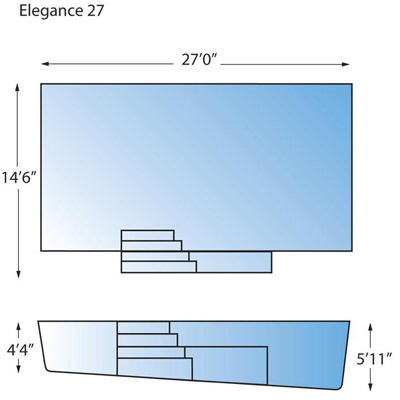 The Elegance pool is available as the Elegance 20 (19′ 8″ x 11′ 6″), the Elegance 23 (23′ x 12′ 10″), the Elegance 26 (26′ 3″ x 14′ 6″), the Elegance 30 (29′ 7″ x 14′ 6″), the Elegance 33 (32′ 10″ x 14′ 6″), and the Elegance 39 (39′ 4″ x 14′ 6″). 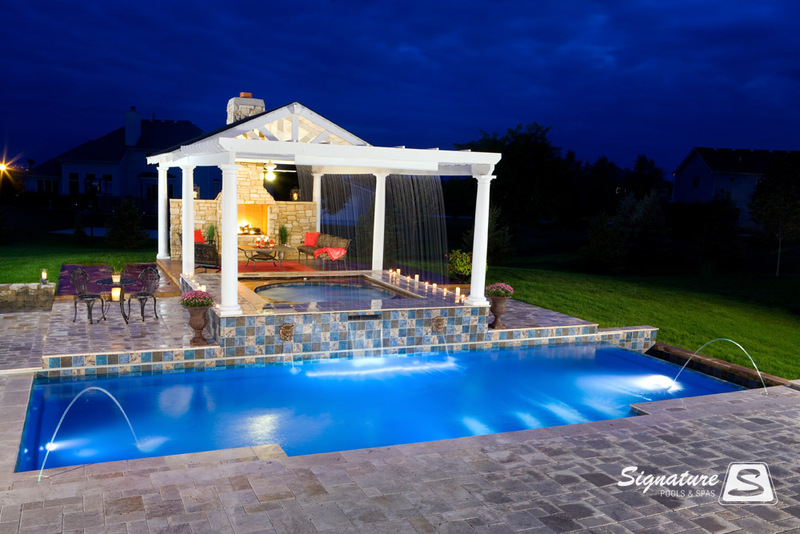 You can see pictures of a few of the Elegance model pools we have built by clicking on any of the pictures above. 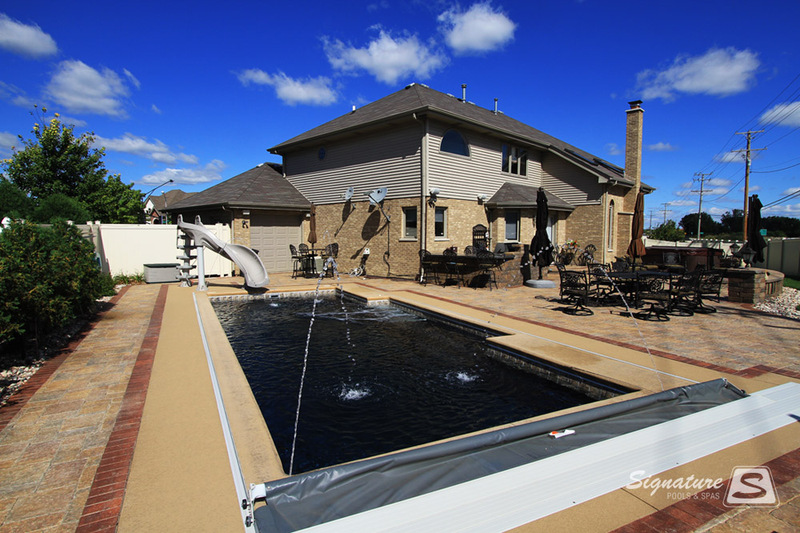 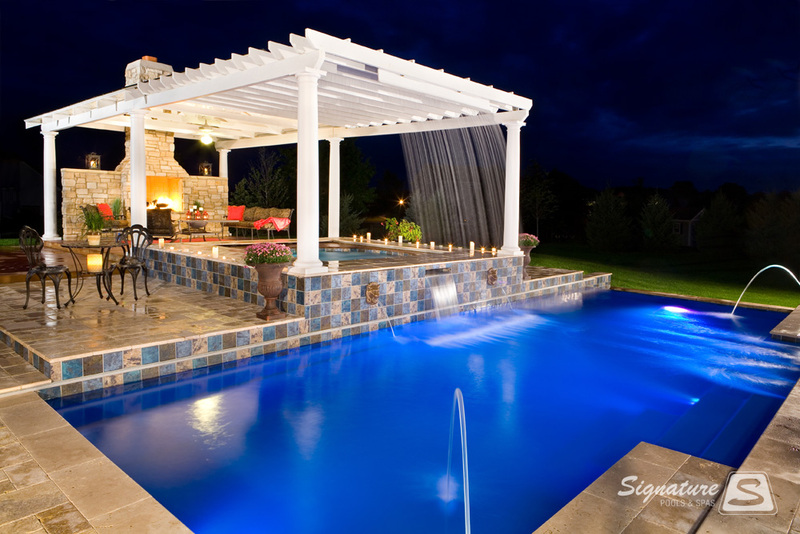 The Elegance fiberglass pool is built in Illinois by Signature Pools.